Now subsumed into a large modern hotel complex l, this former government office was built in two stages, beginning with the Treasury (the Bridge St corner) in 1849 in a classical revival style by Mortimer Lewis. In 1894 it was extended on both Macquarie and Bridge Streets by W.L. Vernon to include the Premier’s Office. 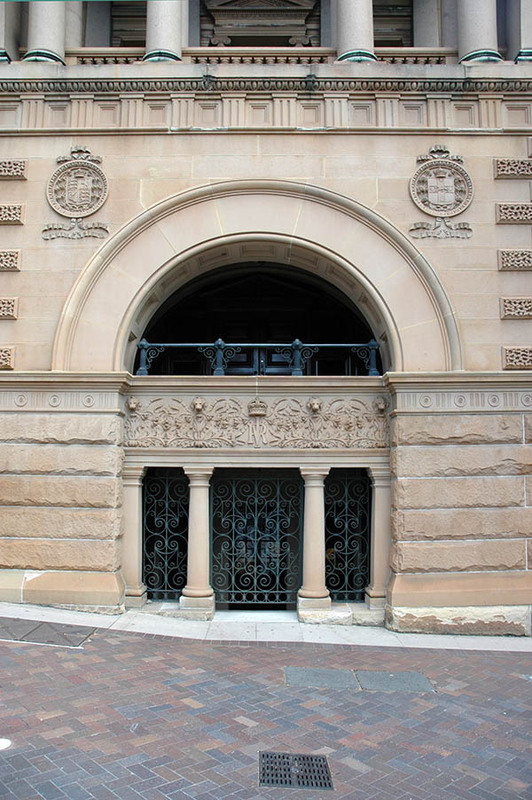 The larger of the Macquarie St entrance porticos with its carved coats of arms, is from this extension.